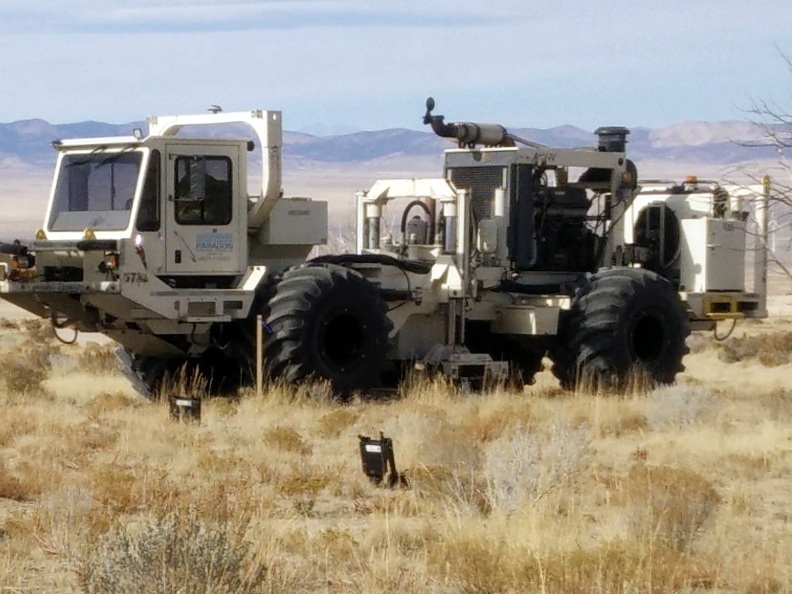 In August, the Utah FORGE project took a big leap forward with the drilling of a 7,000-foot deep geothermal scientific well. 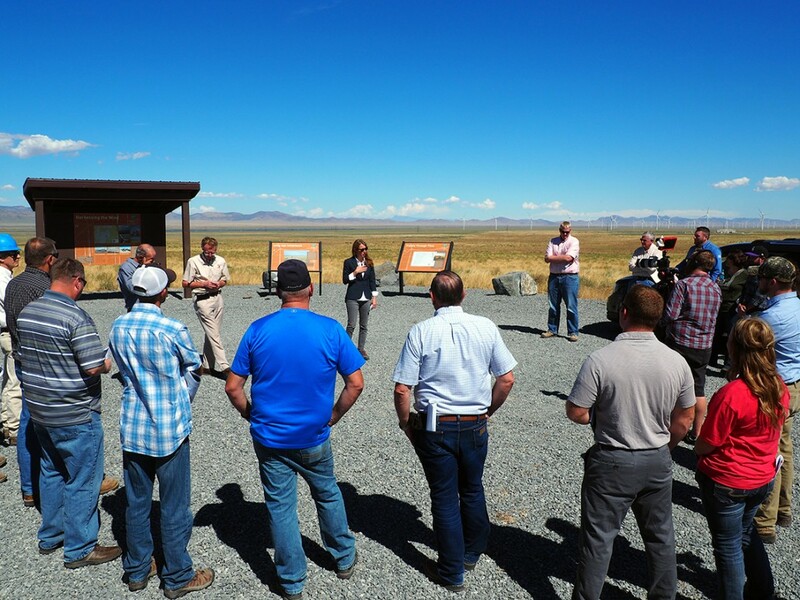 As part of our continuing effort to keep all stakeholders engaged and up to date, Utah FORGE conducted a field visit for stakeholders on August 23rd. 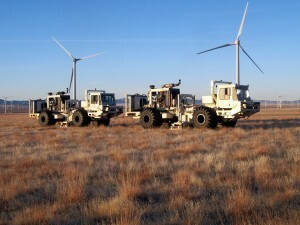 The Utah Forge site lies within an established renewable energy hub and energy corridor. 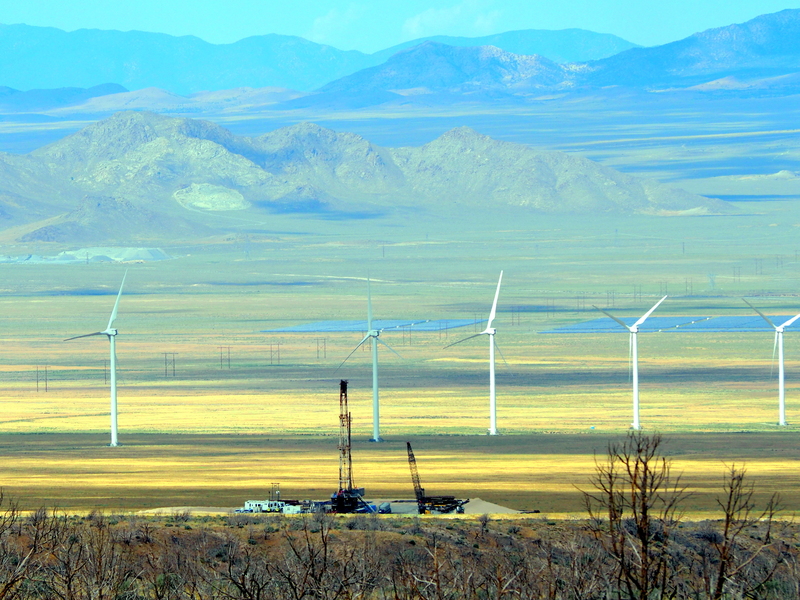 View looking west showing the Utah FORGE drill rig, wind farm and blue solar panels in the distance. The field trip was well attended and included representatives from the Utah Division of Water Rights, Rocky Mountain Power, Utah School and Institutional Trust Lands Administration (SITLA), Bureau of Land Management (BLM), Utah Division of Water Quality (DWQ), Utah Governor’s Office of Energy Development (OED), U.S. Department of Energy Geothermal Technologies Office (DOE), Hot Rock MS, Beaver City Government, Beaver County Commission, Beaver County Government, Sun Edison, Energy and Geoscience Institute (EGI), Utah Geological Survey (UGS), Idaho National Laboratory (INL), Kenai Drilling, Sinclair Well Products and Services, and West Coast Geologic. STOP 1. 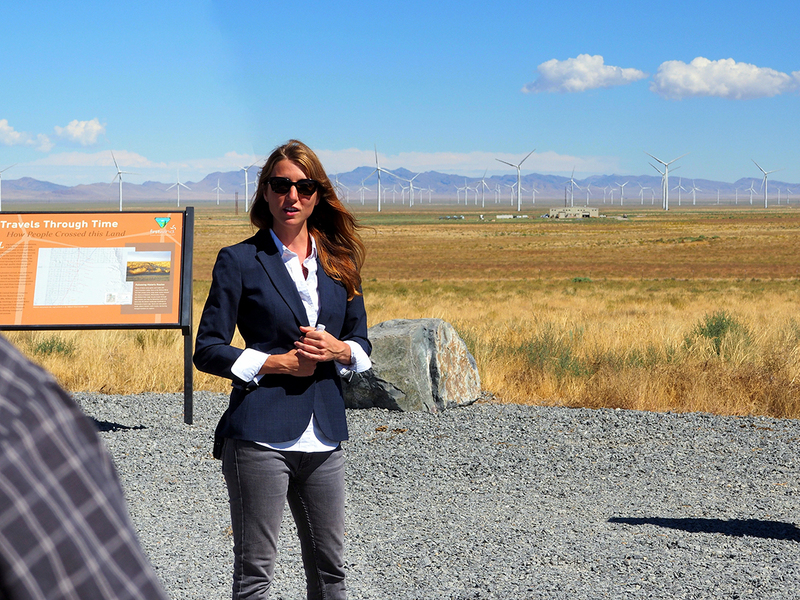 Participants met about 4 miles southwest of the drill site at the First Wind information kiosks, which displays signs about the area’s geology, archaeology, history, and wind power generation. At this stop introductions were made and the U.S. DOE Enhanced Geothermal System Manager Lauren Boyd gave an overview of the FORGE program. For more information on enhanced geothermal systems and the DOE’s FORGE program, see https://energy.gov/eere/forge/forge-home. Lauren Boyd, speaking to the group about FORGE and enhanced geothermal systems. STOP 2. Future site of the Utah FORGE project office where stakeholders were updated about the project. The well pads, infrastructure, and office site will be located on Smithfield Foods and SITLA lands. The site and facilities will be easily accessible to future researchers and the public. 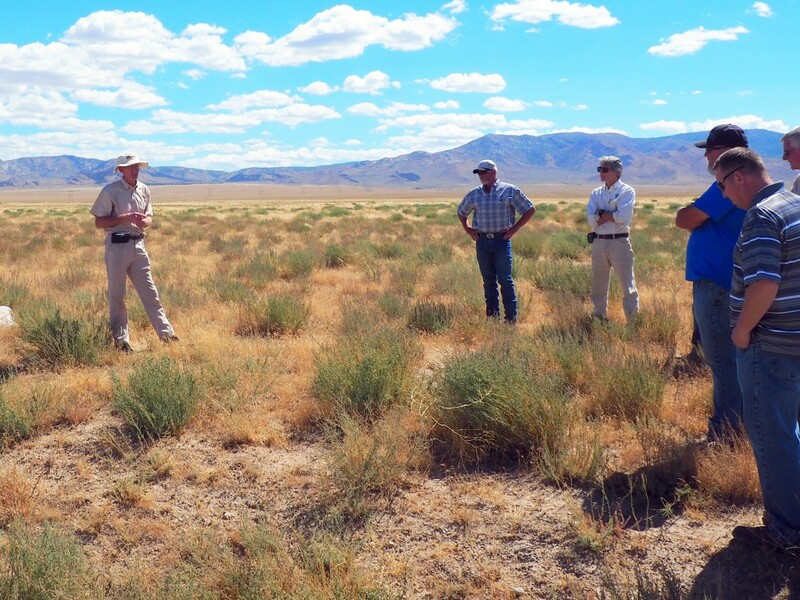 Dr. Rick Allis, far left, is the State Geologist and one of the Utah FORGE co-Principal Investigators. STOP 3. Left photo. 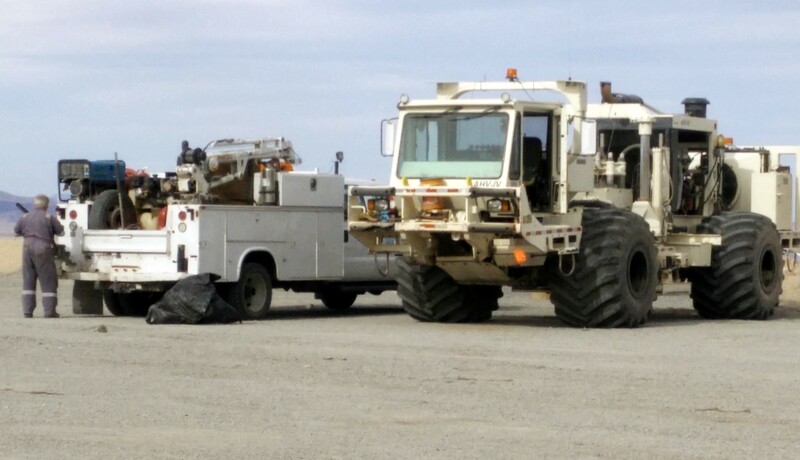 The drill rig! 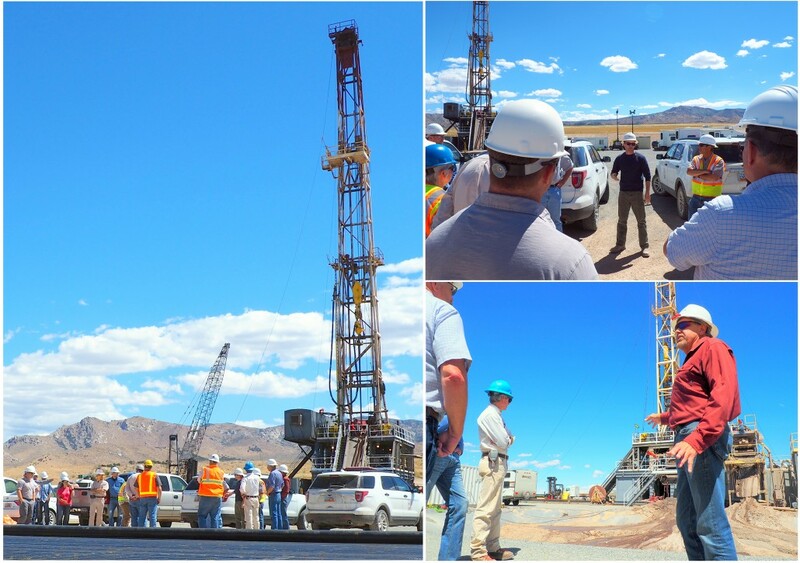 The well is being drilled to provide information on temperature, rock type, permeability, and stresses within the rocks that will ultimately form the geothermal reservoir. The well will reach an anticipated depth of 7000 feet where temperatures will exceed 350 Fahrenheit. Upper right. 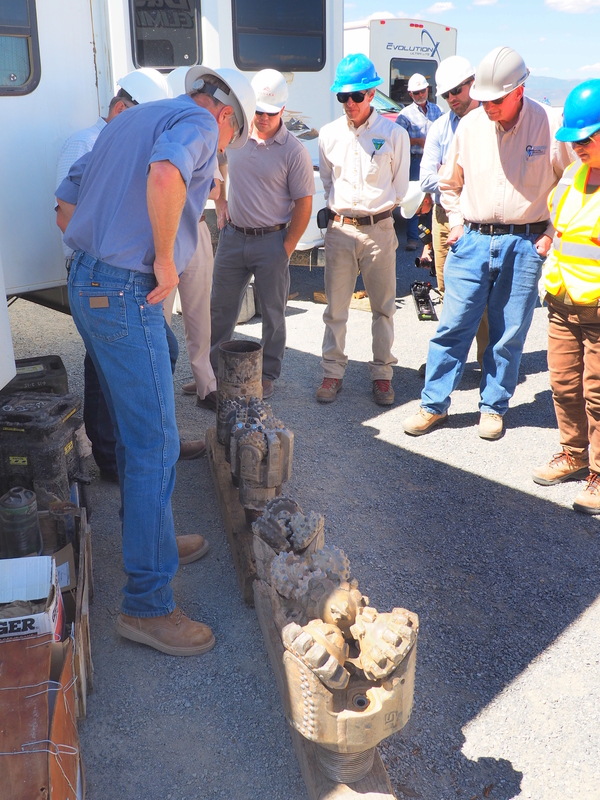 The mud logger is giving a safety presentation to the group. Lower right. View looking across the mud pit. 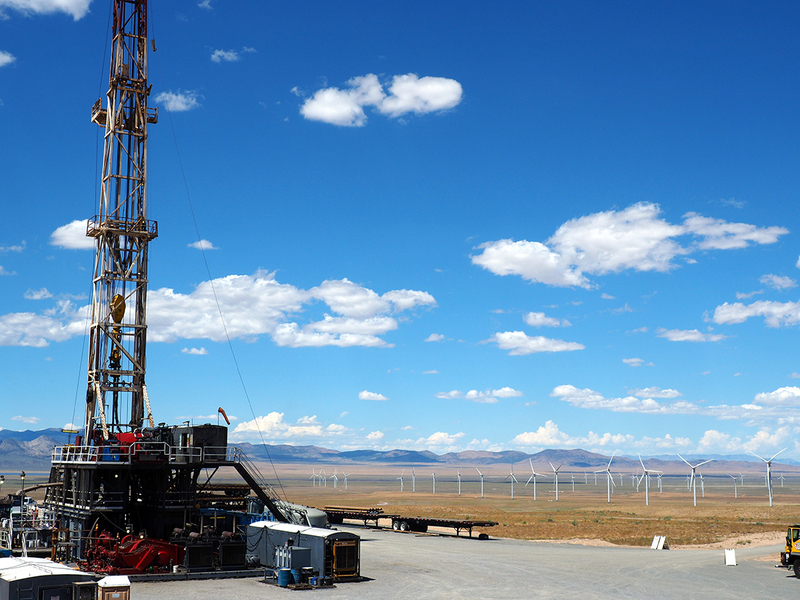 Drilling fluid (mud) is circulated down the well during drilling to remove rock cuttings and keep the bit cool. Drilling fluid no longer suitable for use is pumped into the mud pit to avoid contaminating the environment. The dark material in the center of the picture is wet drilling fluid Continuous drilling with cooled drilling fluid means the true temperature at the bottom of the hole has yet to be determined. 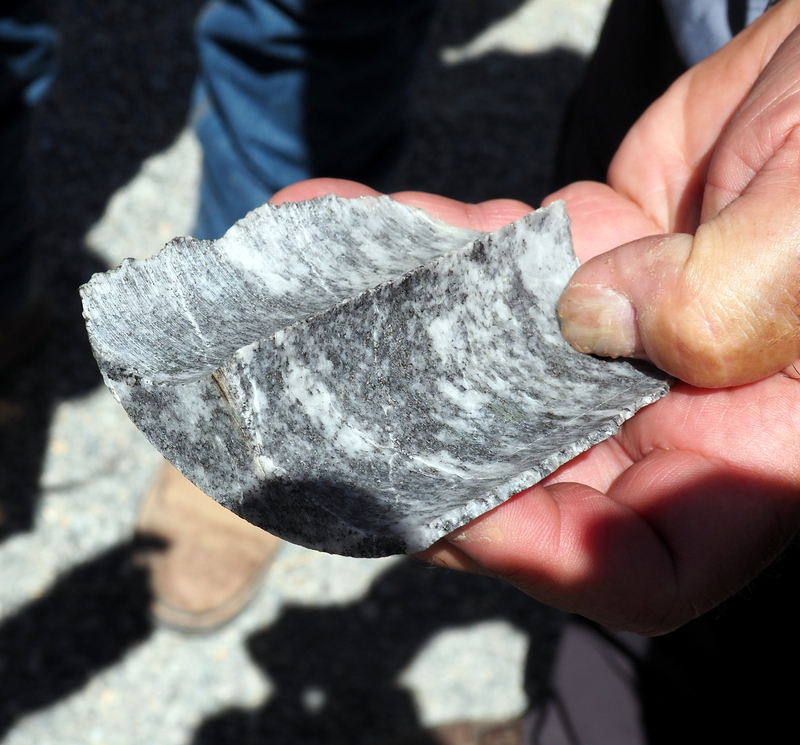 Granitic bedrock was predicted to lie at a depth of 2100 feet. The drillers encountered it at 2090 feet! Different types and sizes of drill bits are used, depending on well diameter and downhole conditions. The granite is very hard and drilling is slow, typically 8 to 13 feet per hour. Bits last 40-50 hours in the granite. 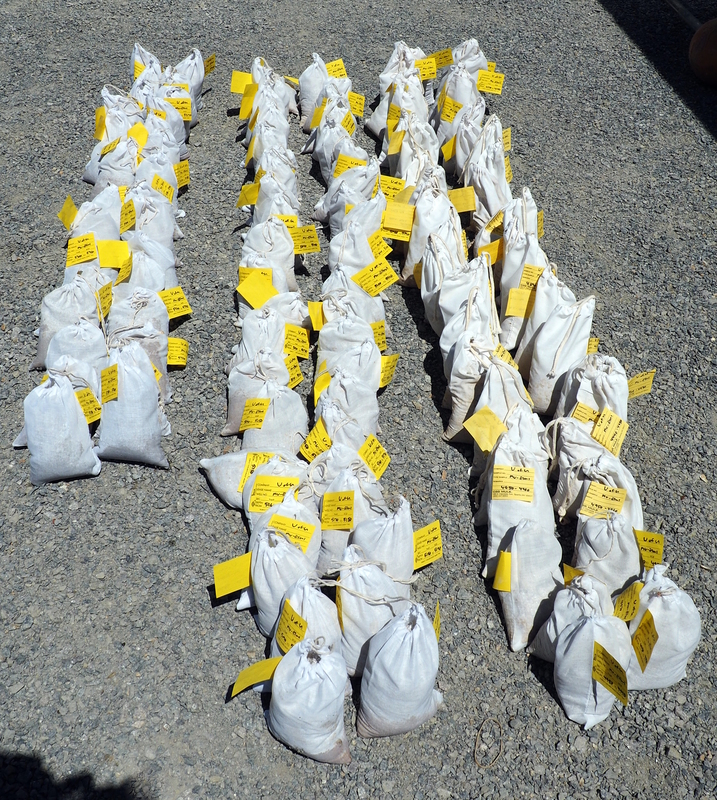 Cuttings samples are collected every 10 feet during drilling. The cuttings are studied to determine the rock types encountered in the well and the extent of past fluid-rock interactions. 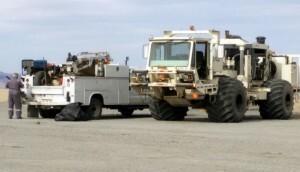 Core samples will also be taken to evaluate the rock’s physical properties and degree of fracturing. Several varieties of granitic rocks have been encountered in the well. This is a broken piece of core from a nearby well. Most of the granitic rocks are light colored. 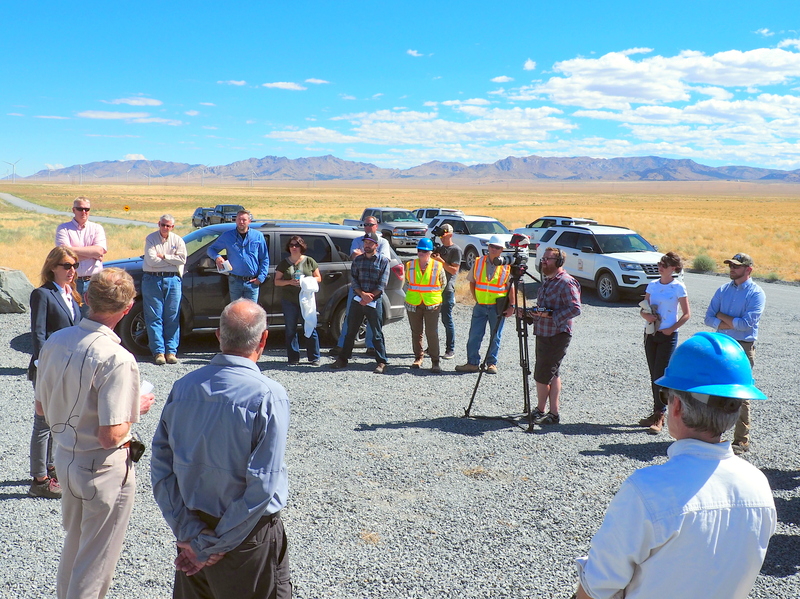 The stakeholders departed at the end of the two-hour site visit better informed and enthusiastic about the Utah FORGE project’s progress. 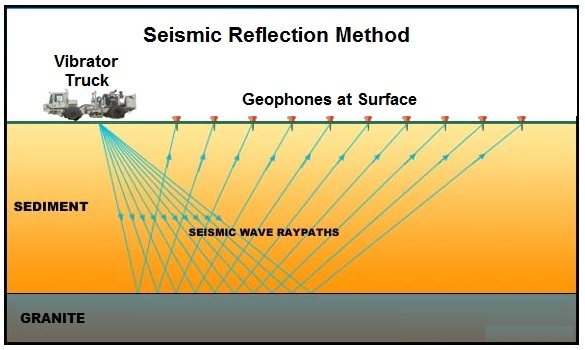 Stephen Potter, a graduate student at the University of Utah, presented this poster at the annual meeting of the Seismological Society of America in Denver on April 19. Stephen has been analyzing the historic seismicity around Milford, the Roosevelt Hot Spring system, and the FORGE site. 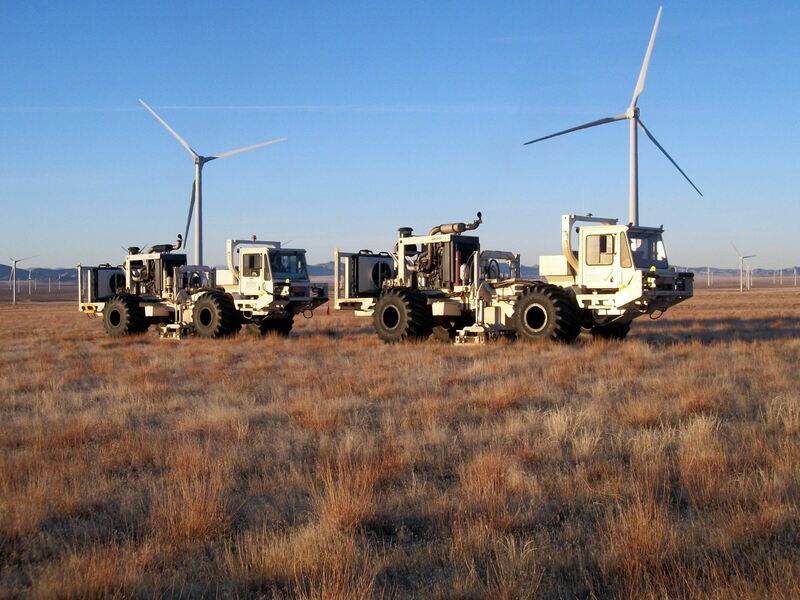 No seismicity has been detected at the FORGE site. 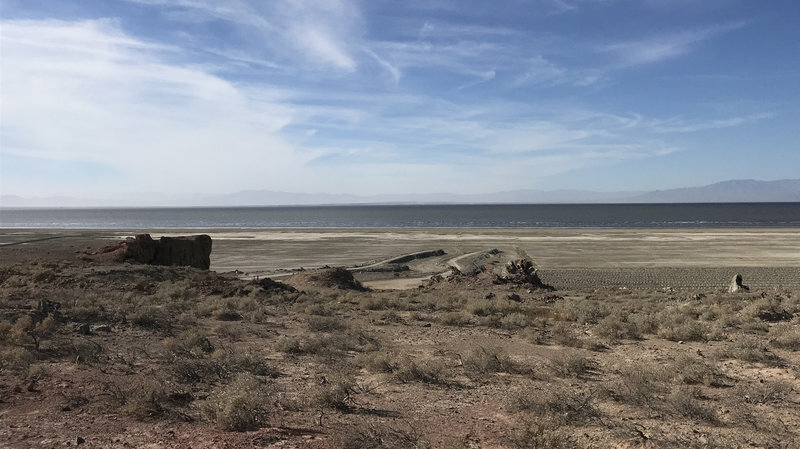 Find articles on the salt crust on Great Salt Lake’s north arm, the geothermal project near Milford, Utah and more among our regular featured columns. 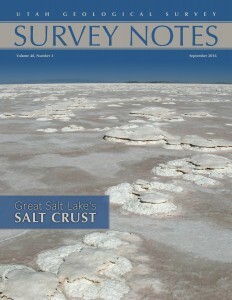 https://geology.utah.gov/wp-content/uploads/ugs-logo-large.png 0 0 Utah Geological Survey https://geology.utah.gov/wp-content/uploads/ugs-logo-large.png Utah Geological Survey2016-09-07 12:19:182016-09-07 12:19:18Survey Notes September 2016 Issue is Here! The Utah FORGE team collaborated with the Utah Governor’s Office of Energy Development to produce this video short highlighting Utah’s vast geothermal potential. Check out the Utah FORGE Facebook to follow updates on the projects!